Post subject: If you could own one F1 car, which one would it be? From any era. You're not an F1 driver, just a wealthy industrialist who's decided now is the best time to invest in an F1 car for track days. And to be able to casually mention you own and can drive your F1 car when talking to your wealthy industrialist friends. Edit: You're wealthy enough to pay a team of engineers to get the car going for you whenever you wish. Last edited by Toby. on Mon Nov 05, 2018 7:39 am, edited 1 time in total. I think something from the 70s. A ferrari 312T2/T3 would be my absolute favourite. Love the Ferrari 640/641 too, but maybe starting to get a bit too complicated with the gearbox etc. 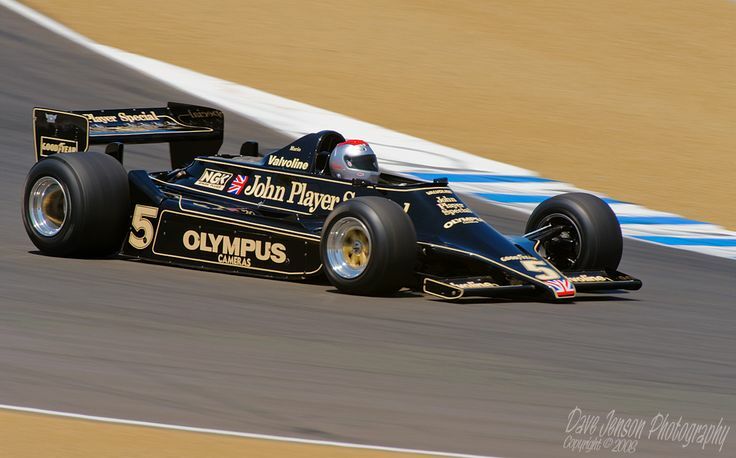 Any of the JPS liveried Lotus cars for me. Lotus 25 maybe? Hard to go past the shear beauty of the Eagle TG1 though. How about the all conquering MP4/4 at the hands of my favourite, and the driver who I consider the greatest driver I've ever seen, Ayrton Senna. If I had to pick one though, I think it'd be the 2009 Red Bull RB5 with the #14 of Mark Webber on it. Now, it's safe to say RB are not one of my favourite teams but there are 2 reasons i'd pick this one over the others. Number 1 is that, after 24 yrs of watching F1, on the 12th July 2009, I finally got to watch an Australian win a F1 GP when Mark Webber won the German GP in that car. In all my years of watching F1, I've only really got very emotional in 2 races for 2 very different reasons. The first time was 1st May, 1994, and the 2nd was this race. The almost 1/4 of a century wait was over & I now knew what it was like to hear my national anthem played at a F1 podium ceremony and it was bliss. Reason #2? A V8 screaming at 18,000 RPM. I miss the sound of those N/A engines even today. Wonder how far back in time you need to go to be able to actually start and run the car without a team of engineers and laptops? I like manuals but Mclaren Mercedes 2005 I think is the most beautiful F1 car. Love the livery too. So I would take that happily. Ferrari 412 T2. A stunning, raw machine. For me it's everything an F1 car should be. Torn between the FW18 (My favourite Livery of all time, awesome car too) and the Lotus 33 (simply gorgeous). As I sit here i'm leaning towards the Williams but there isn't much in it. My impression is that anything before the 1990s would probably be able to run without computers, but for eliminating the team of engineers I think you'd need to go pre-turbo. The turbo engines were always woefully unreliable, and you wouldn't want to have to change yours after every track day. I think even by the end of the 80s the cars had computers starting them up. Think you are about on the money about a team of engineers, in my head a broad idea would be anything pre-DFV being easier to maintain/run by less people. The Benetton b194 and the Williams fw19. I’d also be quite happy with an FW18, BGP01 or Jaguar R2. 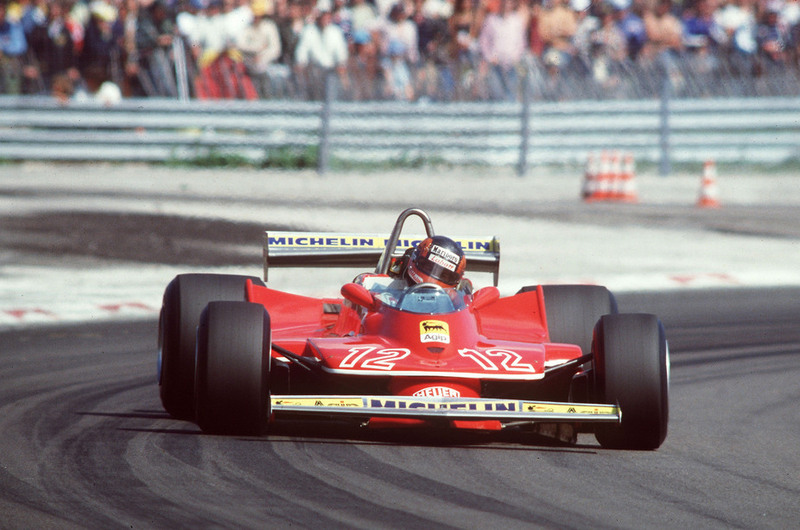 Niki's Ferrari 312 T2 with the beautiful NACA intakes. Or one of Jim Clarks Lotus cars. The limitation of 80's turbo engines was the primitive control electronics. These days a consumer grade ECU and a competent tuner can realise most of the power potential but with vastly better reliability. I think you could run an 80's turbo car with 2 or 3 people who know what they're doing. The F1 1980s turbos (at the end of the era) were insanely complex. They had huge computing power (for the time) on board and after turbo technology was banned, they still had all the advanced on board computers they had developed without a use - and they realised they could instead use it to read airflow sensors and calculate the best position of the car by moving the suspension - and that's essentially where computer controlled active suspension camera from. All the computing power developed for the 1980s F1 turbo engines. Obviously, your smartphone is more powerful than those computers, but then your smart phone is more powerful than a Playstation 3 which is more powerful than the most powerful supercomputer was in 1998. However computing power is not just limited to how many megaflops something is capable of, even 1980s personal computers were capable of running sophisticated algorithms - in fact, the more limited the computing horsepower, the more ingenious the algorithm has to be. It would be a difficult choice, I'd be happy with any of these. I could NEVER pick just one!!! McLaren – Could never pick just one of their cars, so many gorgeous and legendary cars it's impossible to choose, but the MP4-22 is likely their most gorgeous design of all time. Minardi - Where do you start with their GORGEOUS cars??!?!? Jordan – Like McLaren & Minardi… Too many to choose just one! Super Aguri – Just… Wow. Could've featured better liveries, but with their budget and doing what they did in less time than anyone ever… Always in my heart. Lotus – How many iconic, revolutionary cars did they produce that are eye candy??!?!? Lotus #2 – In their brief time in the sport, they produced some VERY good looking and solid performing Green & Yellow cars. If they'd been able to have top talent piloting their cars they might've yielded better results. Williams – like several others… So many iconic gorgeous cars, but I think the BMW years is where they produced the most beautiful designs, with honorable mention to their legendary early 90's lineup, but I must say the 2011 livery on the FW33 is equally my 2nd favorite of all time along with Renault's R23 & R25. The FW33's livery feels like a throwback to vintage design while being current and complimenting the shape and aesthetics of the car's shape. Tyrrell – several cars over the years. I'm sure I can think of more teams and things to say, but I think this serves to show how impossible a question this is to answer. I wasn't clear - by 'primitive' I don't mean in terms of outright computing power, but the suitability of each component for racing use. Injectors had poor atomisation, sensors would 'drift' and get interference and feedback from other systems, and the ECU itself often needed its own cooling system - not because it was working hard, but because its environment was 200 degC. These days there is an entire consumer industry dedicated to this stuff, and when you take the bespoke 80s gear off an old F1 car, and replace it with modern 'over the counter' products from someone like Motec, there is a dramatic improvement in power, economy and reliability. Not F1, but if you look at the Porsche 962s in historic Group C, they mostly run Motec systems and routinely make 800hp when the going rate in 1985 was 650. MP4-18. Never raced but a beautiful car.. I suppose I could grant you that maybe the modern cars require a greater number of individuals as the scope of people's work has narrowed - however I would strongly suspect that the 1980s engines required far more specialist knowledge, so the number of people who knew were more limited, whereas today - there is a lot more interchangeability. Ie, (in a very simplified example) for the 1980s Honda engine maybe only the 10 engineers who worked on it knows how get it going, but today, you need 20 people, but so long as they have the knowledge of their particular skillset they could be any one of a 200 people. FW14B or BGP001 That Williams, that livery, our Nige... Or JB's championship winning one off. Also MP4-4 what a machine! If you've got enough money to buy one and have a full engineering team to run it, you can aford to buy more than one! Yup. With a distant second to the "sharknose" Ferrari. 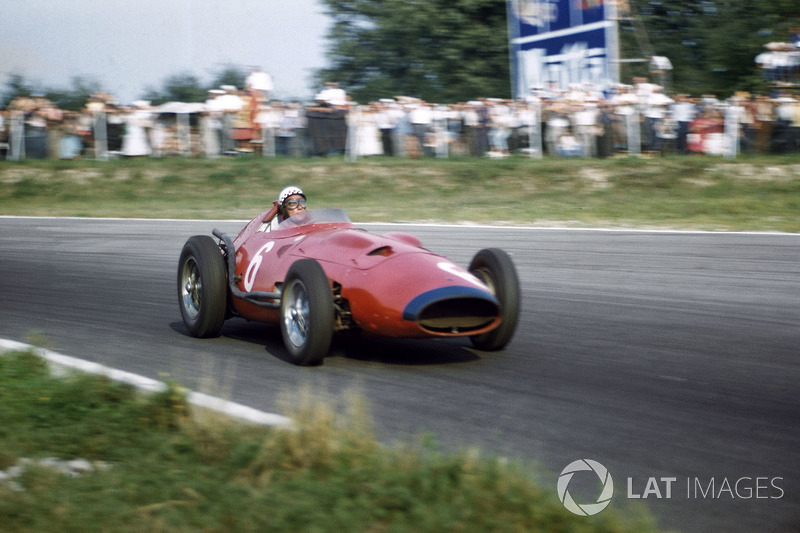 The clean beauty of the 60s F1 cars in general are FAR more appealing to me than the F1 cars of today. mp4 20. v10 20k rpm. probably the finest thing i have ever heard. 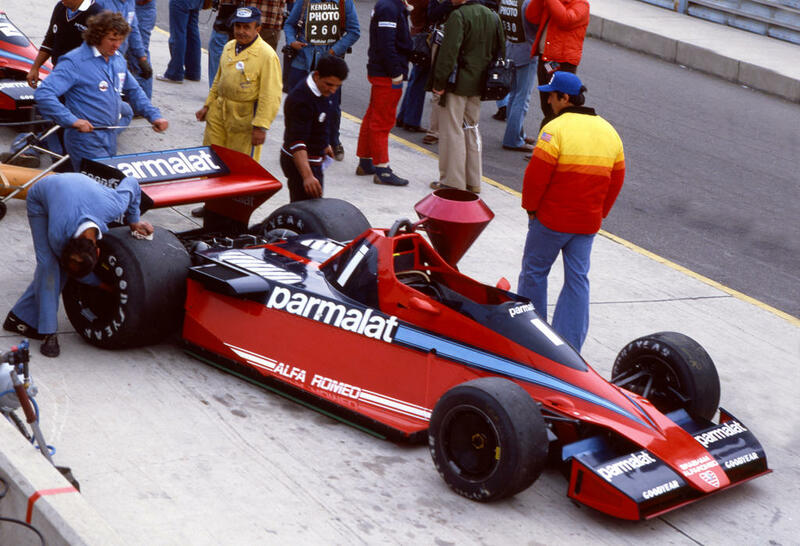 love the curvy front wing and just the right amount of aero attachments. beast. I second that, what a beautiful car. With the Marlborough livery and the V10. As much as I loved the 14B, the 93 Williams was more sleeker, even more technologically-advanced and with the '0' of Hill, got me hooked on F1. That's my second choice after the 14B of Mansell! First off, great idea for a topic! Will need to spoiler tag because this is going to be a little long. The Ferrari 312 T4. It's not what I consider very good looking, and from the clips I've seen it must have been a dog to drive. But I think that would make it all the more fun. From those old clips I saw of Gilles pushing the car to the limit, it looked as if the car wanted to kill him. I think driving a car like that would be absolutely exhilarating. Now I know this is severely shocking. 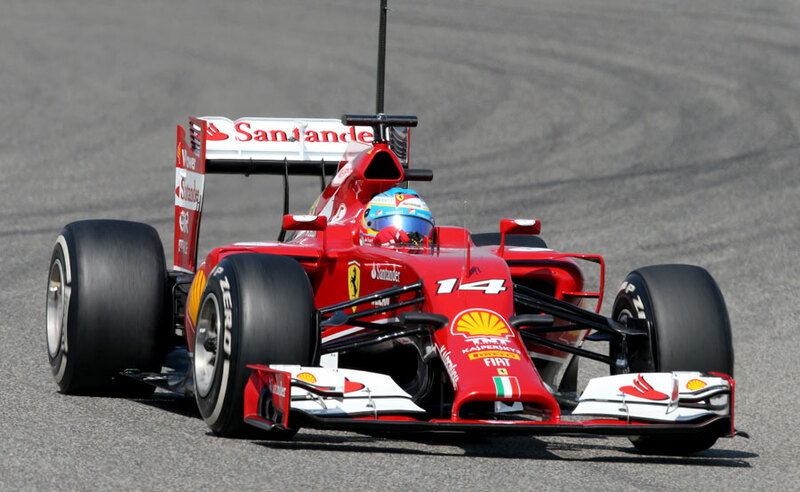 I consider the Ferrari F14T to be one of the ugliest F1 cars of all time. And it was a total handful. But once again, that's exactly why I would love to drive it. I would want something exciting, something that pushes me to my limits every time I get in it. I know this car is one of the worst Ferrari have ever produced, but it looks like a lot of fun to drive. The Lotus E21. I can only imagine what a dream it would be to drive this car. Raikkonen is my favorite ever racing driver, and as crazy as this sounds, this was my favorite car he ever raced in. It will always hold a special place in my heart, for many reasons I'm not sure of. I just fell in love with this car. Should not have wrote this on so little sleep. Sure my grammar is horrible.